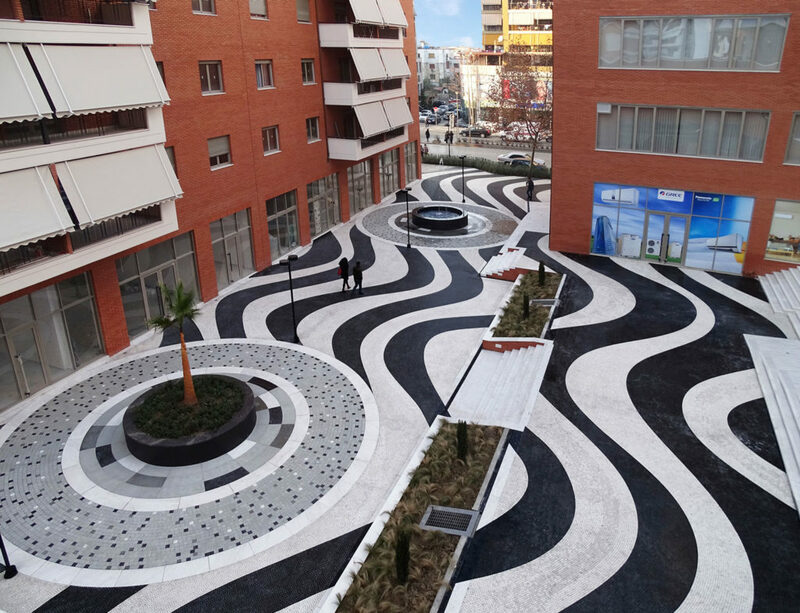 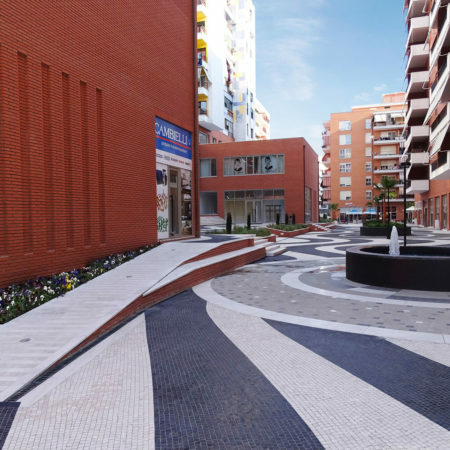 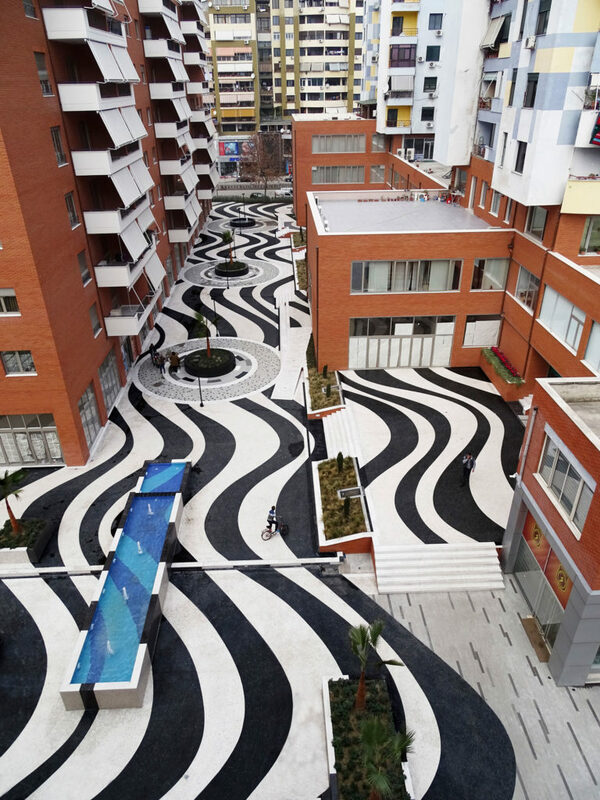 The study and implementation of an emblematic landscape architecture project in Tirana, Albania of a residential complex’s 9.500 square meters of open space was undertaken by the well-known company LANDSCAPE-ROIDIS. 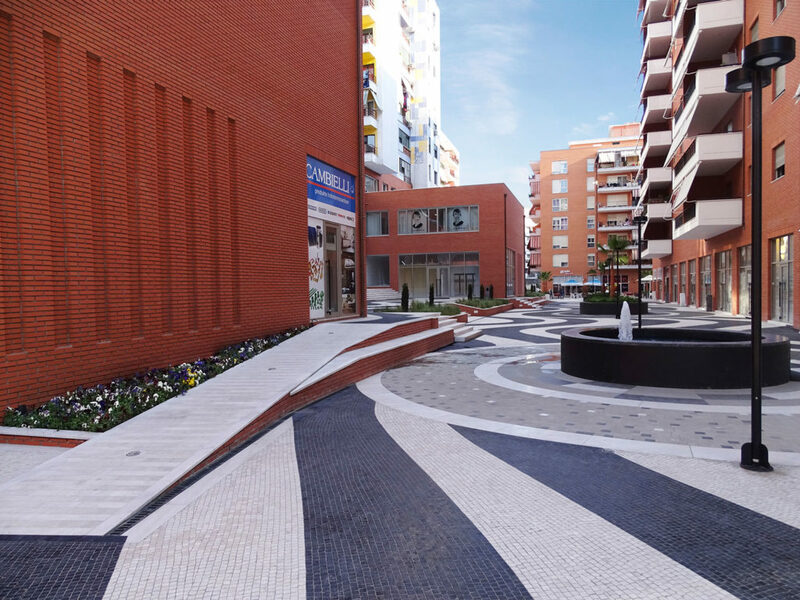 The aim was the visual improvement of the complex and the emergence of a modern quality of life in the area for its residents and visitors. 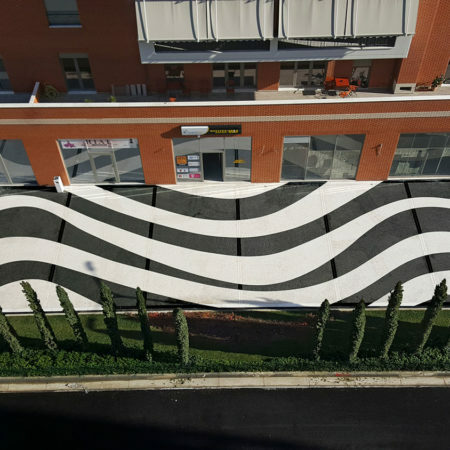 The company’s experience in exterior design of luxury hotel rooms, homes, urban parks and public buildings guaranteed the exceptional success and in this high demanding project. 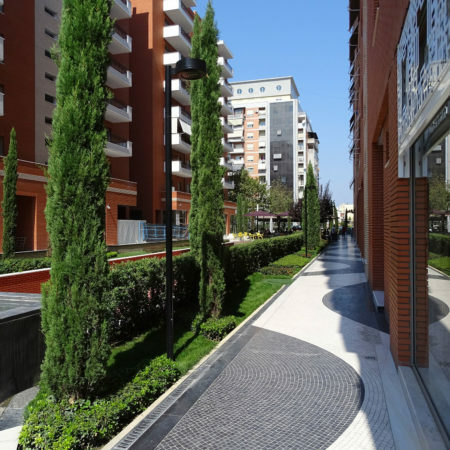 At a location of 15,000 square meters, where the 9,500 sq.m. 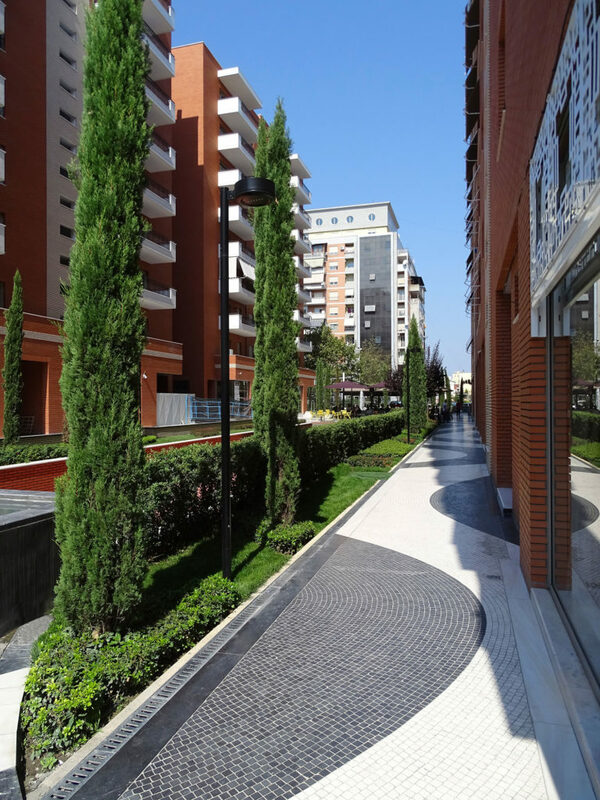 were open spaces, in a central area of Tirana, there was a luxurious residential complex, LANA Park. 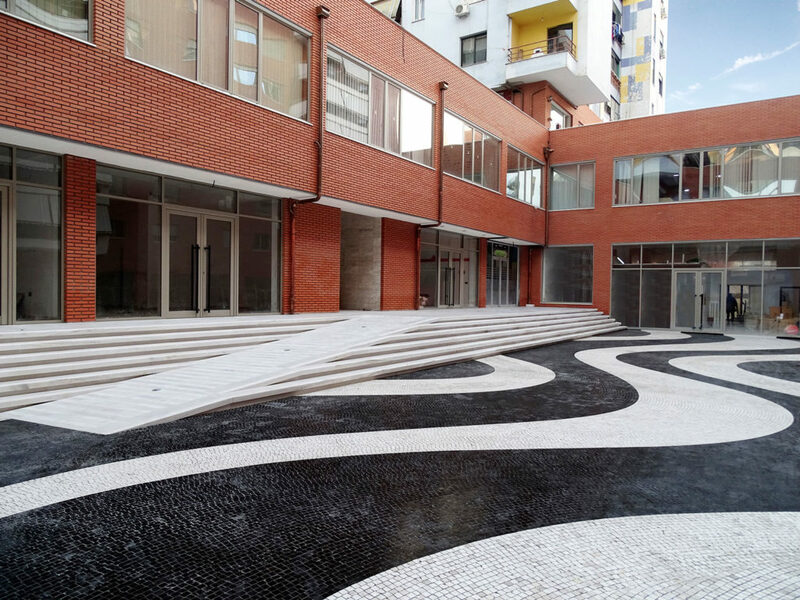 The 400 modern apartments, 50 stores and 100 offices of the complex are attracting Tirana’s upper class, and they are framed by supportive infrastructure elements such as underground parking, shops, cafes, restaurants and a future Luna Park. 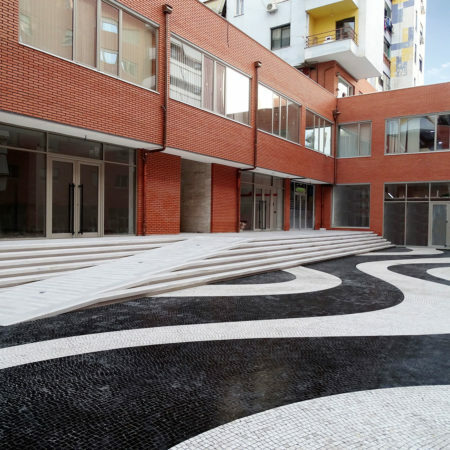 Therefore such a residential complex, had to be surrounded by a space of high standard, which would adopt the new architectural, environmental and architectural mark that the city of Tirana is focusing on for its development. 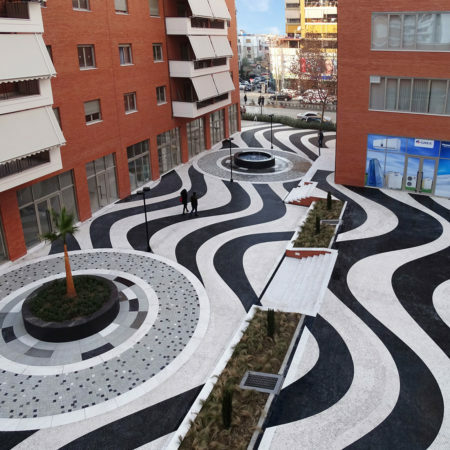 LANDSCAPE – ROIDIS, which is located in North Greece, took over the responsibility to create a cutting-edge landscape design and the realization of the creation of an impressive open space of 9500 square meters, which will be providing a modern quality of life for the occupants. 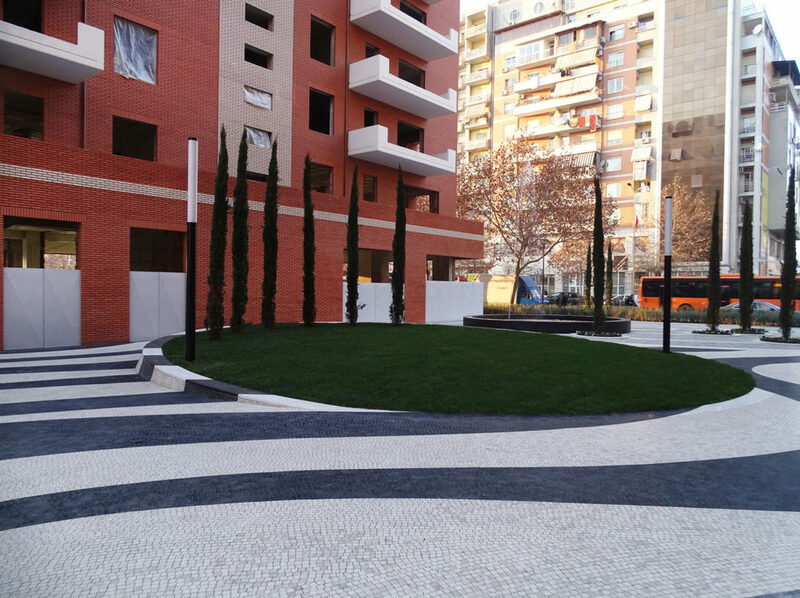 The study covered all phases up to the implementation, urban details and project supervision. 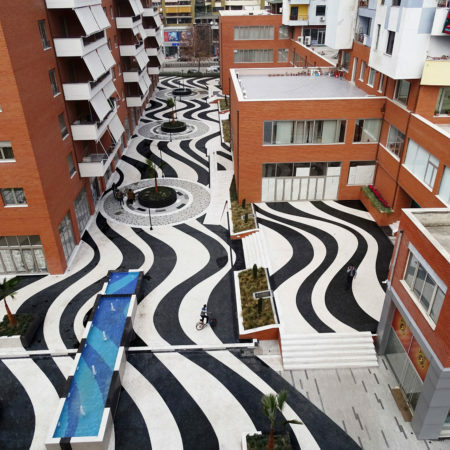 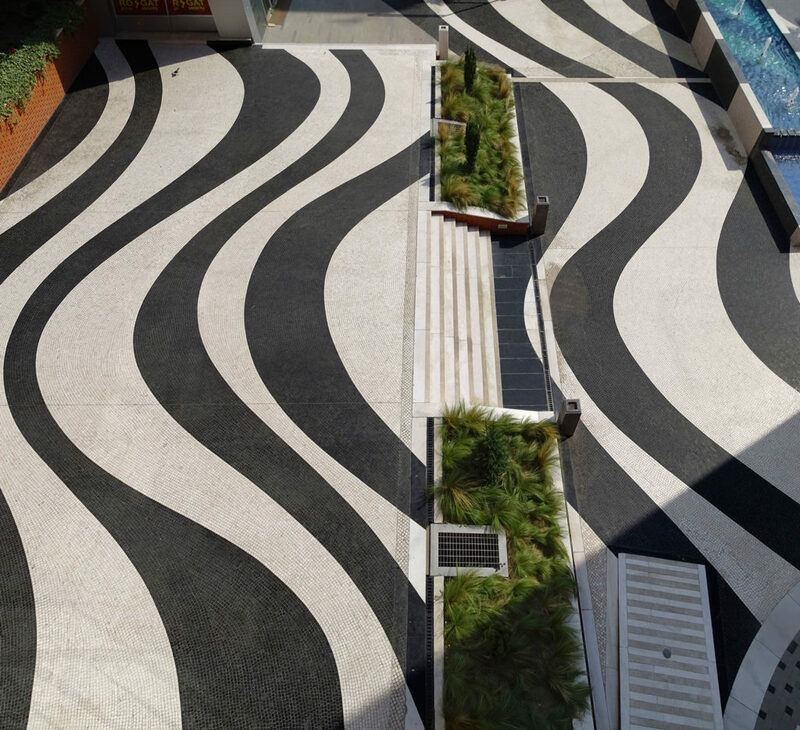 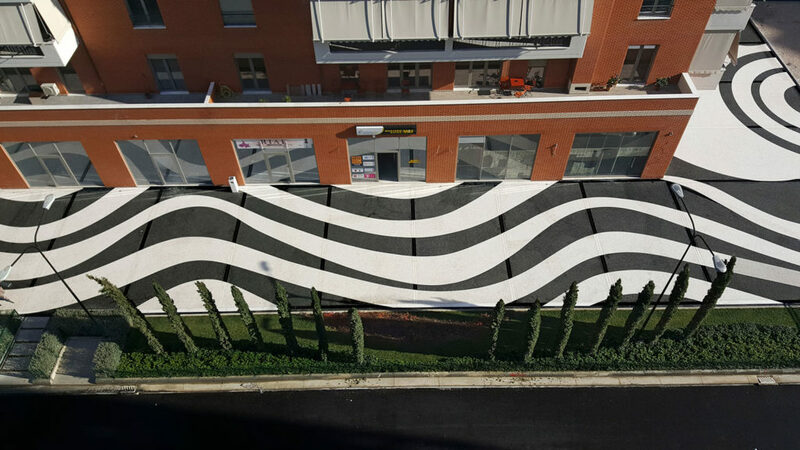 For LANDSCAPE – ROIDIS, the whole project was a bet of emerging new design patterns in a region, such as Tirana, which is very dynamic, but with low standards in the landscape design. 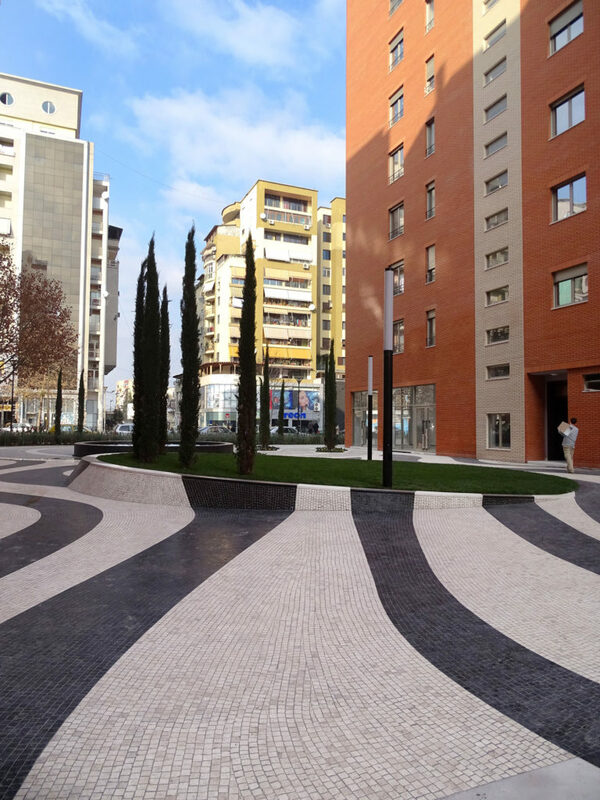 The prototype, for the region, of private and urban landscape that was applied had to serve both tenant’s apartments, as well as passers-by and visitors of the shops and offices. 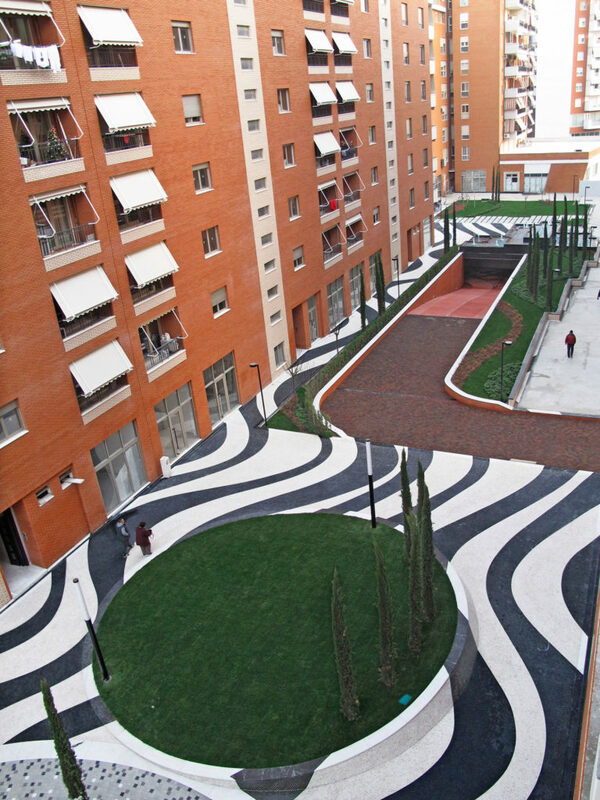 Thus, the design had to accommodate different types of land use at the same time, within a single space. 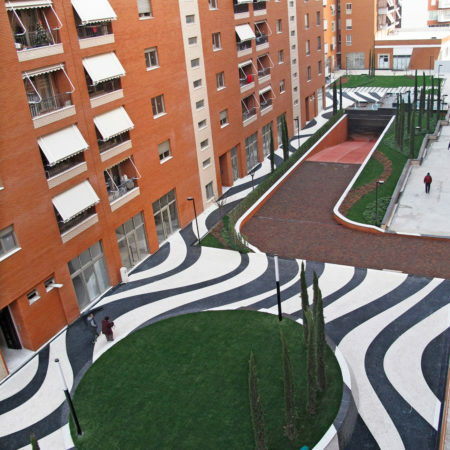 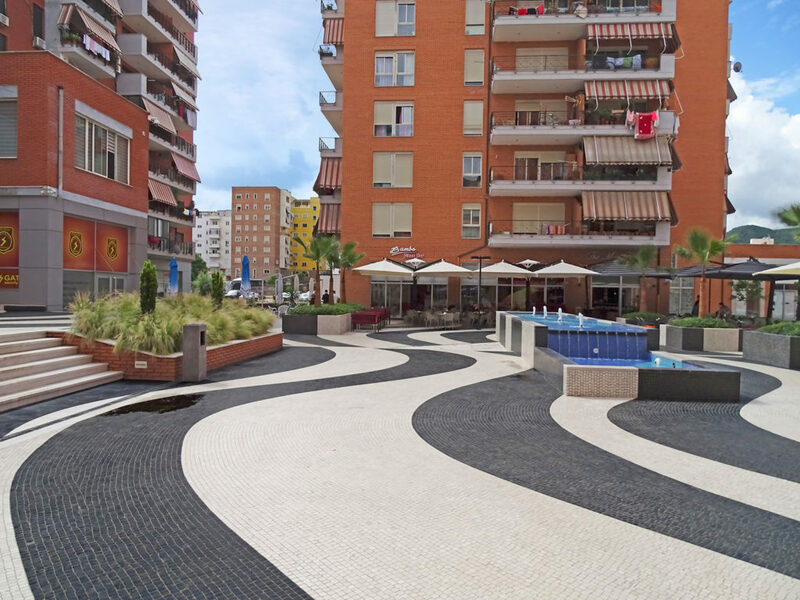 A unified-planning for the paving design was chosen in order to “answer” to the bright red face of the buildings, without color matching with them. 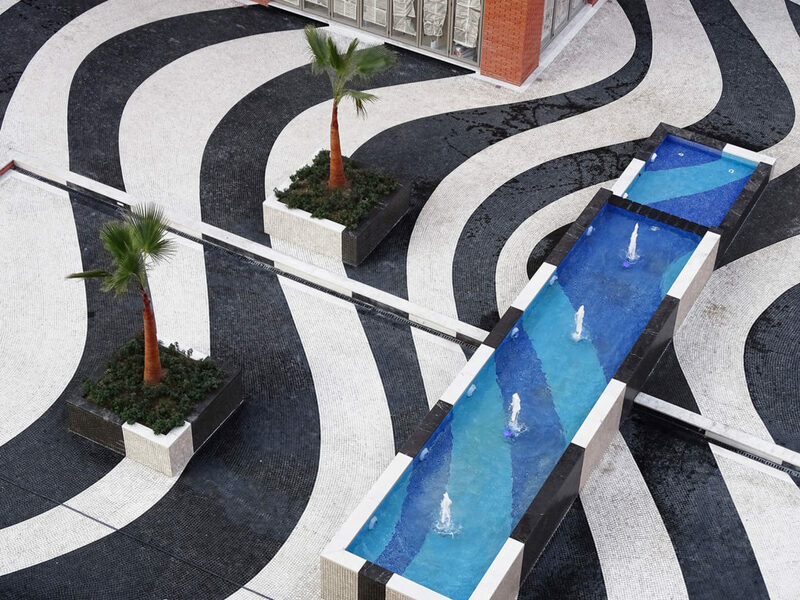 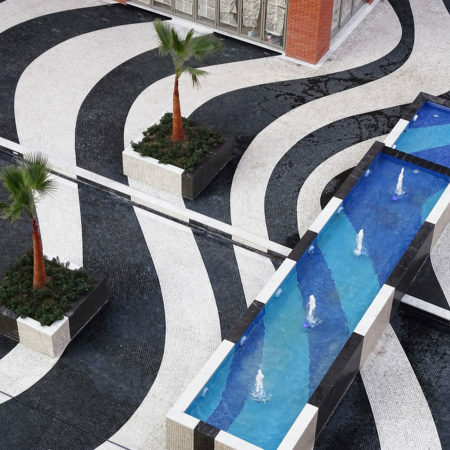 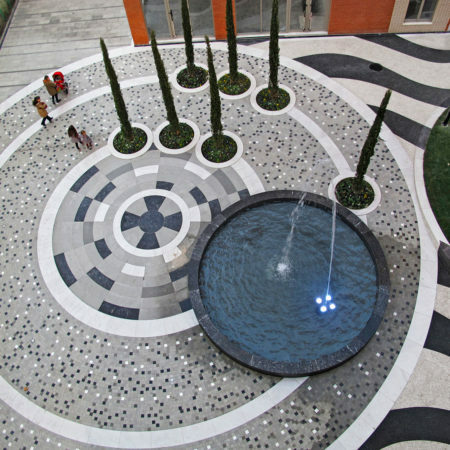 The two-colored mosaic that was “Flows” harmoniously throughout the area and “embraces” all the functions in the complex. 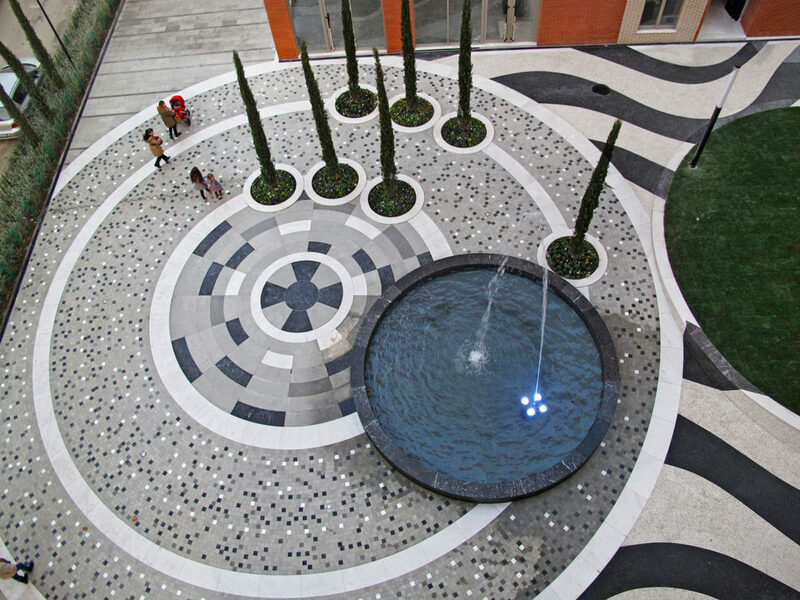 Plantings, tree arrangements and mosaic flooring create a homogenized space, giving it a special, unique “identity” recognition. 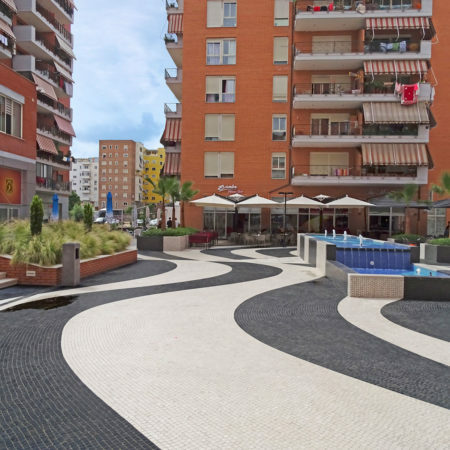 In the “heart” of the buildings and next on the bustling E-Kavajes street, was created a quiet, multi-dimensional, surrounding space, for respite, which hosts many types of uses such as water elements, pergolas, sitting areas and green spaces. 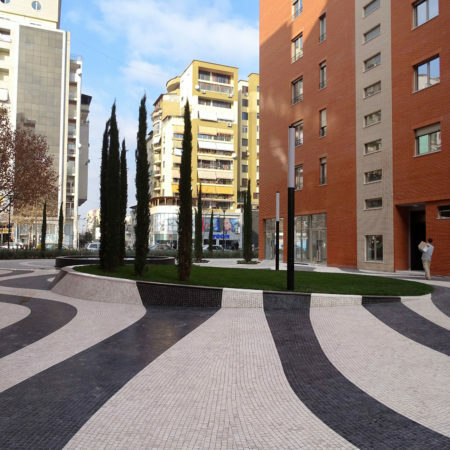 Washingtonia palm trees, cypress trees (Cupressus), Prunus Pisardii, Gigobiloba, but also all shrubs, including berberis, etc., help to create a greenery oasis, adapted to extreme microclimates conditions of the place, while at the same time the sun and the deep shadow mix together because of the ten story buildings. 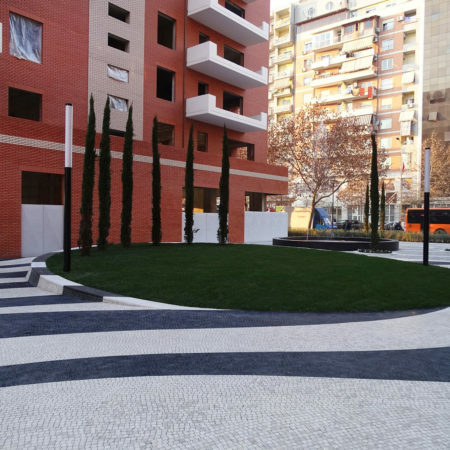 At the same time, the uses during the night were enhanced with the right lighting design, so that, the complex to emerge in an area of high aesthetic value but also safe as well. 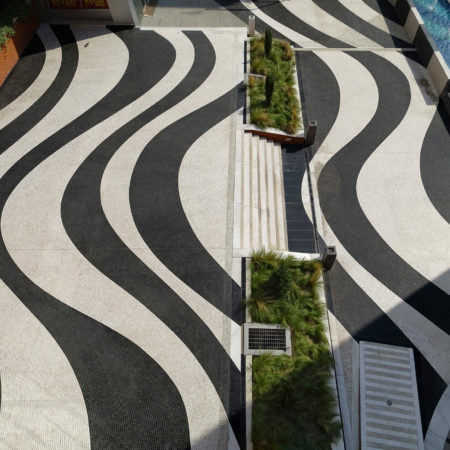 The LANDSCAPE – ROIDIS design team, always focused in high quality detail design has created innovative elements that provide the new residents with the certainty that the space between the buildings resembles a 5 * hotel environment, and where they can enjoy their everyday-life, right outside of their flat’s door.